Bhubaneswar , also spelt Bhubaneshwar Bhubaneswara; ), is the capital of the Indian state of Odisha, formerly known as Orissa. The city has a history of over 3,000 years starting with the Mahamegha-bahana Chedi dynasty (around the 2nd century BCE) which had its capital at Sisupalgarh, nearby. Bhubaneswar, derived its name from Tribhubaneswar, which literally means the Lord (Eeswar) of the Three World (Tribhuban), which refers to Shiva. Bhubaneswar has been known by names such as Toshali, Kalinga Nagari, Nagar Kalinga, Ekamra Kanan, Ekamra Kshetra and Mandira Malini Nagari ("City of Temples"). It is the largest city in Odisha and is a centre of economic and religious importance in Eastern India. With many Hindu temples, which span the entire spectrum of Kalinga architecture, Bhubaneswar is often referred to as a Temple City of India and together with Puri and Konark it forms the Swarna Tribhuja ("Golden Triangle"), one of eastern Indias most visited destinations. Bhubaneswar replaced Cuttack as the capital in 1948, the year after India gained its independence from Britain. The modern city was designed by the German architect Otto Konigsberger in 1946. Along with Jamshedpur and Chandigarh, it was one of modern Indias first planned cities. Bhubaneswar and Cuttack are often referred to as the twin-cities of Odisha. The metropolitan area formed by the two cities had a population of 1.4 million in 2011. Bhubaneswar is categorised as a Tier-2 city. An emerging Information Technology (IT) and education hub, Bhubaneswar is one of the countrys fastest-developing cities. The history of Bhubaneswar may be viewed in terms of ancient and modern eras. The ancient city has a history of thousands of years, while the modern city emerged in 1948. Bhubaneswars first mention was during the Kalinga War, which took place near Dhauli (now in the south of the city) in the 3rd century BCE. Later Emperor Kharavela established his capital at Sisupalgarh, on the outskirts of the modern city. The Hathigumpha inscriptions at the Udayagiri and Khandagiri Caves by Kharavela give a good account of that period, which is estimated as 1st–2nd century BCE. Temples built throughout the ancient and medieval periods chronicle the citys history. Jain and Buddhist shrines portray the settlements around Bhubaneswar in the first two centuries BCE. One of the most complete edicts of the Mauryan emperor, Ashoka, dating from between 272–236 BCE, remains carved in rock 8 kilometres (5.0 mi) to the southwest of the modern city. The city was the ancient capital of the Kalinga Empire and the architectural legacy of the period is manifest. Historical sites in the city testify to the importance of the region during the 7th to 11th centuries CE, when the Kalinga kings ruled Odisha and beyond. The Ananta Vasudeva Temple and Bindusagar Tank is the only temple of Vishnu in the city. The temples in Bhubaneswar are regarded as having been built from the 8th to 12th centuries under Shaiva influence. On 1 April 1936, Odisha, then known as Orissa, became a separate province in British India with Cuttack as its capital. This date is celebrated as Utkal Divas. Cuttack had been Odishas capital since the 12th century. With independence in 1947, Odisha became a state. Because of Cuttacks vulnerability to floods and space constraints, the capital was moved to Bhubaneswar, which was formally inaugurated on 13 April 1948. The new capital was built as a modern city, designed by German architect Otto Konigsberger with wide roads, gardens and parks. Though part of the city followed the plan, it has grown rapidly over the last few decades, outstripping the planning process. Bhubaneswar is located in Khordha district of Odisha. It is situated in the eastern coastal plains, along the axis of the Eastern Ghats mountains. The city has an average altitude of 45 m (148 ft) above sea level. It lies southwest of the Mahanadi River that forms the northern boundary of Bhubaneswar metropolitan area, within its delta. The city is bounded by the Daya River to the south and the Kuakhai River to the east; the Chandaka Wildlife Sanctuary and Nandankanan Zoo lie in the western and northern parts of Bhubaneswar, respectively. Bhubaneswar is topographically divided into western uplands and eastern lowlands, with hillocks in the western and northern parts. Kanjia lake on the northern outskirts, affords rich biodiversity and is a wetland of national importance. 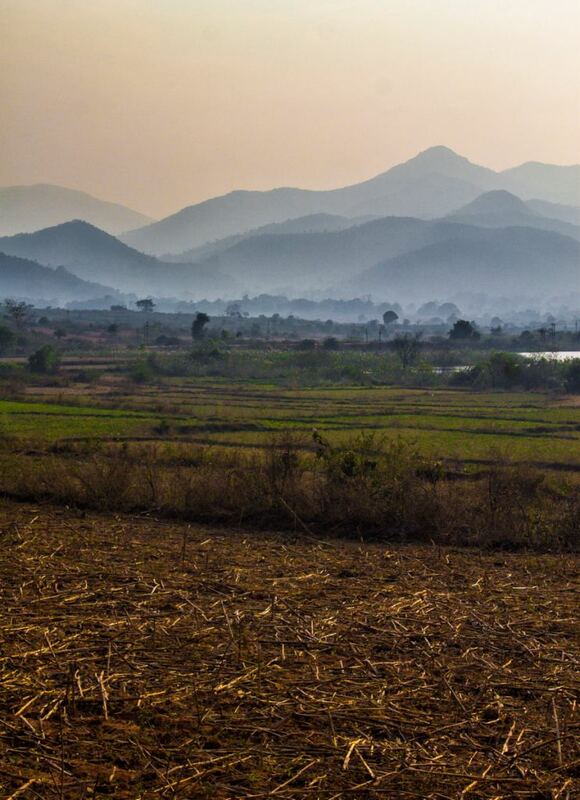 Bhubaneswars soils are 65 per cent laterite, 25 per cent alluvial and 10 per cent sandstone. The Bureau of Indian Standards places the city inside seismic zone III on a scale ranging from I to V in order of increasing susceptibility to earthquakes. The United Nations Development Programme reports that there is "very high damage risk" from winds and cyclones. The 1999 Odisha cyclone caused major damage to buildings, the citys infrastructure and cost many human lives. Floods and waterlogging in the low-lying areas have become common due to unplanned growth. Bhubaneswar is an administrative, information technology, educational and tourism city . Bhubaneswar is ranked as the best place to do business in India by World Bank. Bhubaneswar has emerged as one of the fast-growing, important trading and commercial hub in the state and eastern India. Tourism is a major industry, attracting about 1.5 million tourists in 2011. Bhubaneswar was designed to be a largely residential city with outlying industrial areas. The economy had few major players until the 1990s and was dominated by retail and small-scale manufacturing. With the economic liberalisation policy adopted by the Government of India in the 1990s, Bhubaneswar received investment in telecommunications, information technology (IT) and higher education. Bhubaneswar is supposed to have had over one thousand temples; earning the tag of the Temple City of India. Temples made in the Kalinga architectural style with a pine spire that curves up to a point over the sanctum housing the presiding deity and a pyramid-covered hall where people sit and pray. Some of the famous temples include, Lingaraj Temple, Muktesvara Temple, Rajarani Temple, Ananta Vasudeva Temple. The twin hills of Khandagiri & Udayagiri, served as the site of an ancient Jain monastery which was carved into cave-like chambers in the face of the hill. These caves, with artistic carvings, date back to the 2nd century BCE. Dhauli hills has major Edicts of Ashoka engraved on a mass of rock and a white Peace Pagoda has been built by the Japan Buddha Sangha and the Kalinga Nippon Buddha Sangha in the 1970s. Apart from the ancient temples, other important temples were built in recent times include Ram Mandir and ISKCON. Bhubaneswar along with Cuttack is the home of the Oriya cinema industry, dubbed "Ollywood", where most of the states film studios are located. Oriya culture survives in the form of Classical Odissi dance, handicrafts, sand artistry and sculpturing as well as theatre and music. 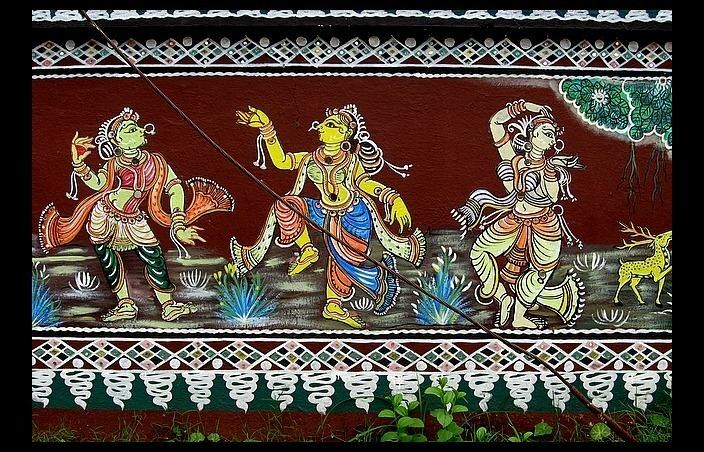 Boundary walls and gardens are increasingly being redone to depict the folk art of the state. 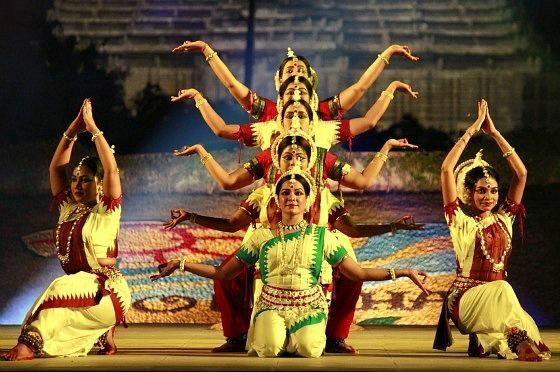 Odissi, the oldest of the eight surviving classical dance forms of India can be traced from archaeological evidence from the temples in Bhubaneswar. Odissi dance is generally accompanied by Odissi music. Srjan, the Odissi dance academy founded by Guru Kelucharan Mohapatra, the legendary Odissi dancer is located here. The Rabindra Mandap in central Bhubaneswar plays host to cultural engagements, theatre and private functions. As a part of the Ekamra Festival, many cultural sub-festivals takes place in January in Bhubaneswar which includes, Kalinga Mahotsav (for traditional martial arts), Dhauli-Kalinga Mahotsav (for classical dance forms), Rajarani Music Festival (for classical music) and Mukteswar Dance Festival (for Odishi dance). Residents engage in khattis, or leisurely chats, that often take the form of freestyle intellectual conversation. Though Oriya women traditionally wear the sari and the shalwar kameez, Western attire is gaining acceptance among younger women. Western-style dress has greater acceptance among men, although the traditional dhoti and kurta are seen during festivals. The Odisha State Museum offers archaeological artifacts, weapons, local arts and crafts as well as insights into Odishas natural and indigenous history. The Tribal Research Institute Museum hosts authentic tribal dwellings created by tribal craftsmen. Nandankanan Zoological Park, located on the northern outskirt of the city, is Indias first zoo to join World Association of Zoos and Aquariums. The State Botanical Garden (Odisha) and Regional Plant Resource Center, popularly known as Ekamra Kanan, a park and botanical garden, has a large collection of exotic and regional fauna. The Ekamra Haat is a hand-loom and handicrafts market. Nicco Park and Ocean World, are amusement parks. Other museums include Pathani Samanta Planetarium, Regional Museum of Natural History, Regional Science Center and State Handicrafts Museum. On the day of Ashokashtami in the month of March or April, the image of Lingaraja (Shiva) and other deities are taken in a procession from Lingaraja Temple to the Mausima Temple, where the deities remain for four days. Hundreds of devotees participate in pulling the temple car that carries the deities, known as Rukuna Rath. Ratha-Yatra, "Temple car Festival" is the most important festival in Odisha and Bhubaneswar alike. The festival commemorates Jagannath, who is said to have been the incarnation of Indias revered deities, Vishnu and Krishna. Durga Puja, held in September–October, is an occasion for glamorous celebrations. Other festivals celebrated include Shivaratri, Diwali, Ganesh Puja, Nuakhai and Saraswati Puja. Eid and Christmas is also celebrated by the religious minorities in the city. Adivasi Mela is a fair that displays art, artefacts, tradition, culture, and music of the tribal inhabitants of Odisha is held in January. Toshali National Crafts Mela, held in December showcase handicrafts from all over India, and from foreign countries as well. Other important fairs in the city includes, the Rajdhani Book Fair and Khandagiri Utsav. 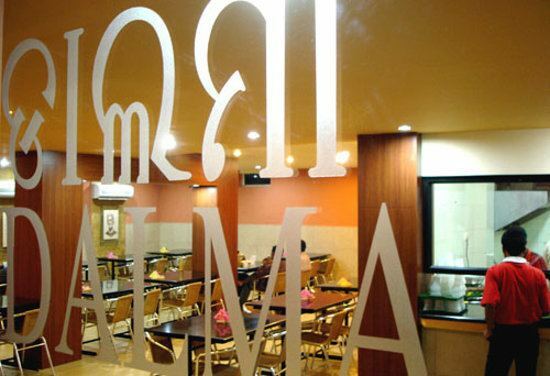 Key elements of the citys cuisine include rice and a fish curry known as machha jholo, which can be accompanied by desserts such as Rasagola, Rasabali, Chhena Gaja and Chhena Poda. Odishas large repertoire of seafood dishes includes various preparations of lobsters and crabs brought in from Chilika Lake. Street foods such as Gupchup (a deep-fried crepe with tamarind sauce), Cuttack-chaat, Dahi bara-Aloo dum and Bara-ghuguni are sold all over the city. Traditional Oriya food such as Dahi-Pakhal (rice soaked in water with yogurt and seasonings) is considered as a body coolant, accompanied by Badi chura or saga are consumed during months of April–June. The Abadha of Lingaraj Temple and Ananta Vasudeva Temple served for devotees is considered a vegetarian culinary delight. Other vegetarian dishes are Dalma (made of lentils and vegetables boiled together and then fried with other spices) and Santula (lightly spiced steamed vegetables). Sweets play a large part in the diet of Bhubaneswarites—especially at their social ceremonies. Bhubaneswar is known for its kora-khhaii which are made up of paddy, jaggery and coconut pieces. Pitha, a kind of sweet cake, bread or dim sum are winter specialties.